Officers Joseph Walsh (l.) and Jason Van Dyke approach Laquan McDonald seconds before Van Dyke shot the 17-year-old. CHICAGO — On the night Laquan McDonald was shot 16 times by a Chicago Police officer, at least three dashboard video cameras in squad cars at the scene didn’t work. And the ones that did capture video did not record audio. The massive failure was no statistical quirk. In fact, 80 percent of the Chicago Police Department's 850 dashcam video systems don't record audio due to "to operator error or in some cases intentional destruction" by officers, according to a review by the Police Department. Additionally, about 12 percent of dashcams experience "video issues" on any given day due to "equipment or operator error," police spokesman Anthony Guglielmi said. 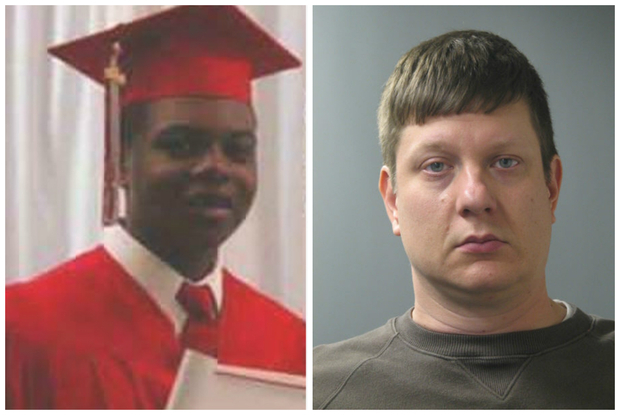 The Laquan shooting, which led to murder charges, has now been seen by the world — but not heard. And not every potential camera angle exists. A sergeant on the scene reported he was unable to collect video footage from three squad cars at the scene due to system malfunctions including "disc error," "power issue" and an "application error," police reports show. Chicago police have yet to fully explain why those recording systems weren't operating properly. 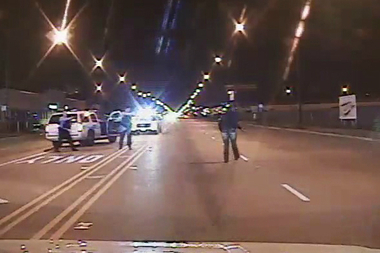 Additionally, only three of 22 Chicago Police-involved shooting investigations forwarded to the Cook County State’s Attorney’s Office from the Independent Police Review Authority this year included dashcam video evidence. And none of those videos included audio recordings, state’s attorney spokeswoman Sally Daly said. Interim police Supt. John Escalante said dashcam system failures are definitely a concern for the department. A DNAinfo Chicago review of city records revealed the extended warranty on the city's original $12.5 million contract for COBAN dashcams (a contract that guaranteed keeping the in-car video systems in working order) expired in September 2012. It's unclear whether the expired warranty contributed to what police called a "high number" of malfunctioning cameras, including many that fail to record audio. Public records show Mayor Rahm Emanuel signed a new $1 million deal with COBAN to fix broken in-car systems on Dec. 3, 2014. That was more than two years after the warranty expired and about six weeks after Laquan was killed. Records show that COBAN officials, who declined to comment for this story, filed a statement of economic disclosure related to that contract in February 2014. The Mayor's Office contends that signals the deal already was being negotiated well before police officials knew videos from the scene of the Laquan shooting did not have audio attached. The 5-year deal requires the Texas-based company to “provide software, parts, repair services and/or part and service upgrades, including software” for all city-owned COBAN dashcam systems until December 2019. Emanuel signed that COBAN contract on Dec. 3, 2014. There's no evidence that the $1 million contract was put up for a City Council vote. City records published online show that the city has only paid COBAN $7,855 for dashcam-related services related to the $1 million deal. On March 27, the city issued a check for $4,640 and made a second payment for $3,215 on Sept. 1, according to city records. "Even while this contract was being developed, emergency repairs and parts exchange outside of warranty coverage were still conducted," Guglielmi said in a written statement. On Feb. 27, 2014, the city did make a "direct voucher payment" to COBAN for $27,810, according to city records. Police have not responded to follow-up questions about how repairs were made after the original warranty expired, including how much money was spent to do repair work. The city also has not responded to a Freedom of Information Act request filed by DNAinfo Chicago seeking information about the number of dashcam repairs requested by officers and the amount of money spent on repairs after the original warranty expired. Guglielmi, in an email, said there are a "high number of cameras that aren't functioning property for a variety of reasons" including broken equipment, technology failures and human error, and it's "no secret a lot of cameras out there don't have audio." "All of those issues is why the superintendent has made it a focus to have an increased sense of accountability ... and hold individuals accountable for reporting problems [with dashcam video equipment] so we can get on top of it. And if there's nefarious activity involved, it will be investigated by internal affairs," Guglielmi said. The Police Department's Internal Affairs bureau already has launched an investigation into why some of the dashcams weren't working properly the night Officer Jason Van Dyke shot and killed Laquan. After Emanuel fired police Supt. Garry McCarthy, Escalante, in one his first official acts as McCarthy's interim replacement, put rank-and-file officers and fleet supervisors on notice that they are responsible for making sure dashcam video and audio systems are working while they are on patrol. After Escalante issued that warning, some commenters on the Second City Cop blog — a popular spot where rank-and-file cops often anonymously complain about their work conditions, department orders, city politicians and other things — urged officers to be diligent reporting broken dashcams. "You are responsible for covering your a--. Don't expect anyone, especially the city, to cover it for you," one commenter wrote. "Camera doesn't work, document it. Audio off? Document it." Guglielmi said the city plans to invest $1.5 million to increase the number of dashcam systems departmentwide, upgrade servers and hire an “on-site technician from COBAN." But no additional information about that those planned upgrades was provided. Ald. Ameya Pawar (47th), a member of the City Council's public safety committee, said he wasn't aware that the warranty on police dashcams had expired in 2012, or that Emanuel had signed a $1 million maintenance contract in 2014. "It's frustrating when we enter into a contact to purchase equipment and the equipment isn’t maintained and to know we didn’t re-up the contact in a timely matter," he said. "That said, the city's financial situation is not news to anybody. It's frustrating, but I'm not surprised. I imagine that all of this ... will be front and center for a while. It's not just a matter of policy, it’s making sure the cars are properly equipped, [cameras] are properly used."